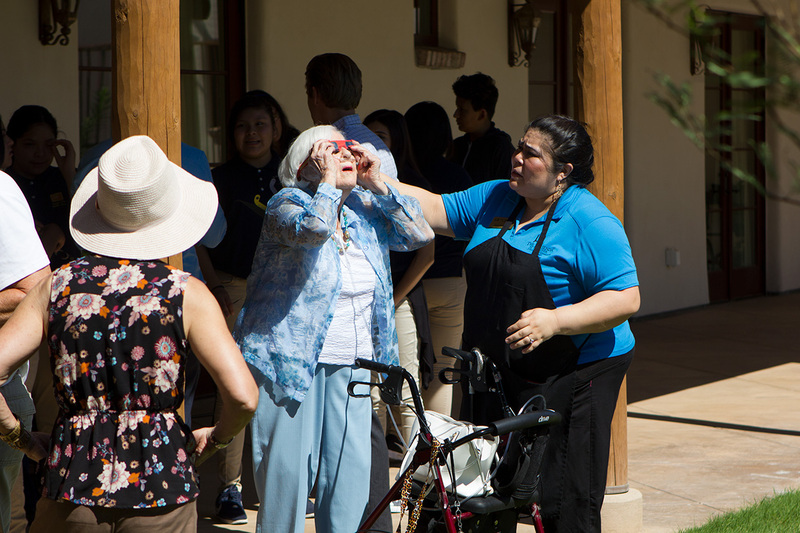 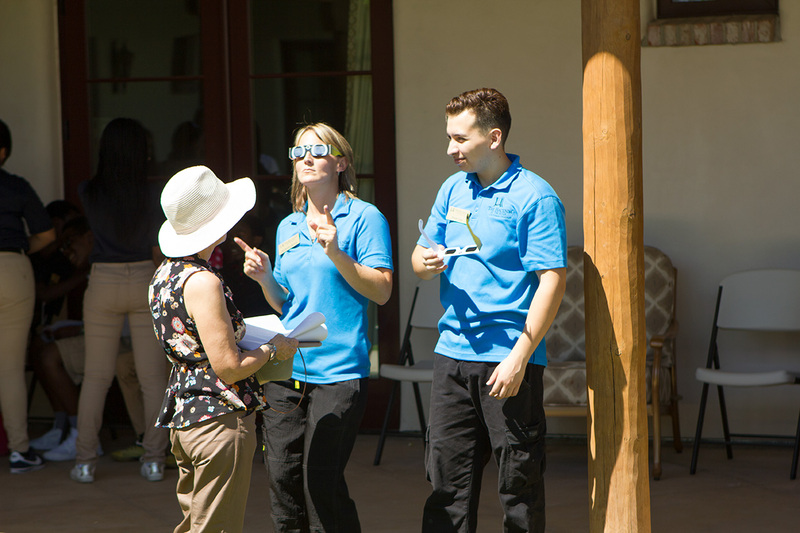 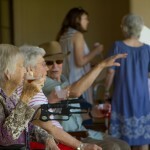 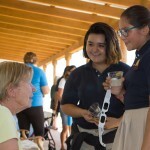 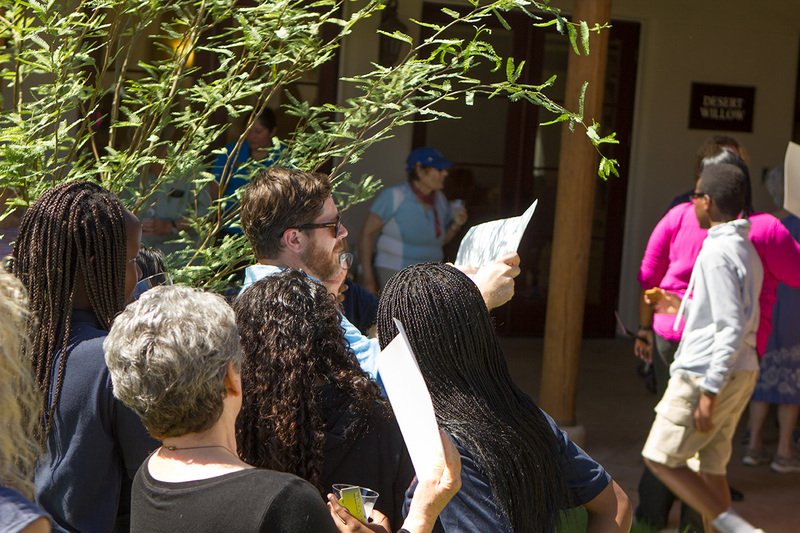 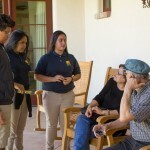 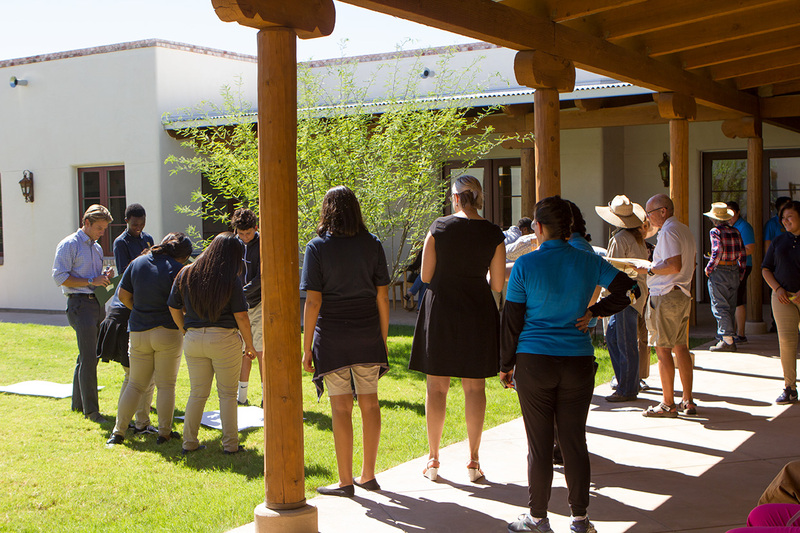 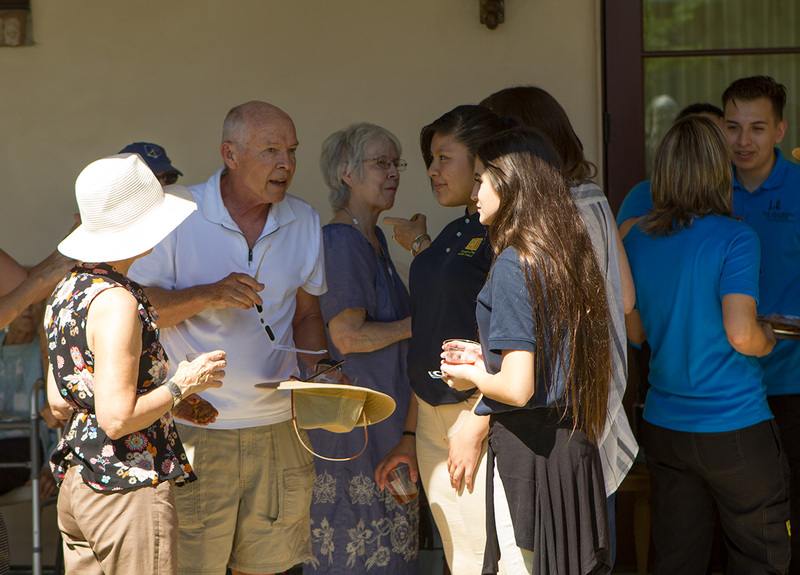 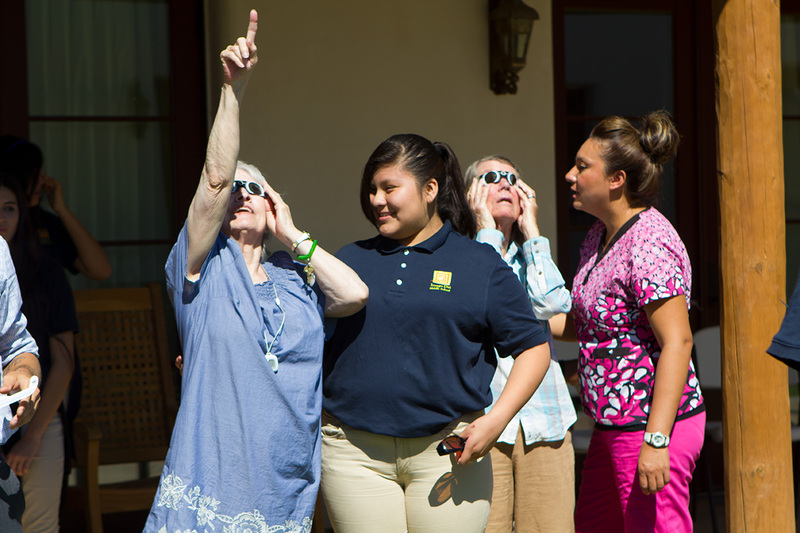 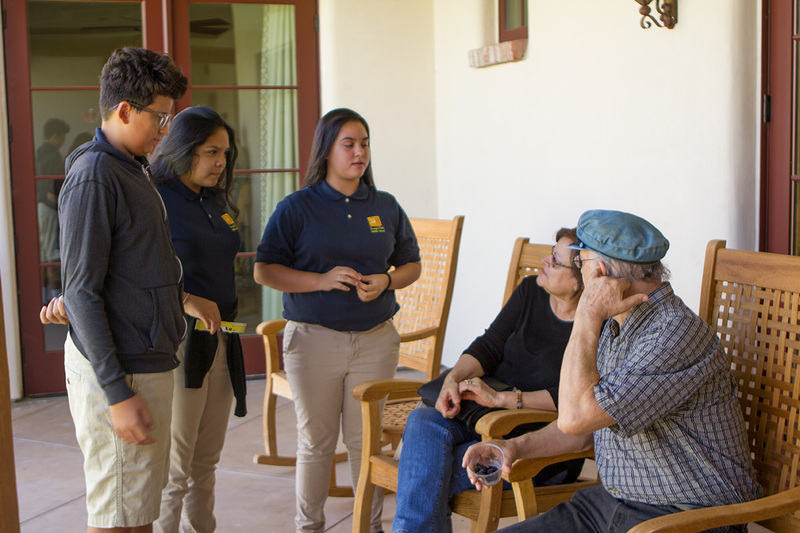 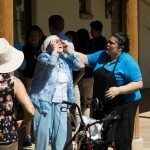 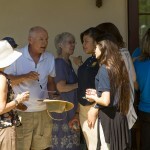 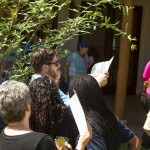 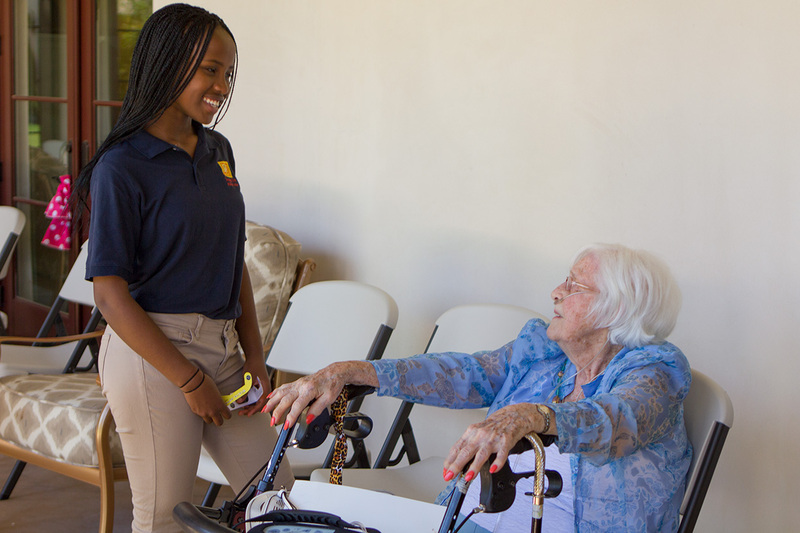 Today at The Hacienda at the River we invited Imago Dei Middle School scholars to help us explore the solar eclipse. 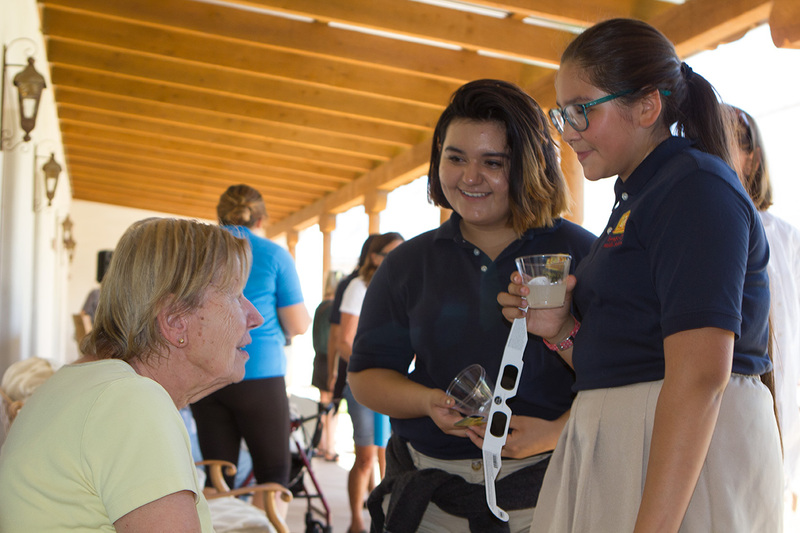 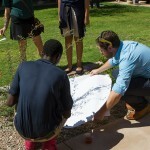 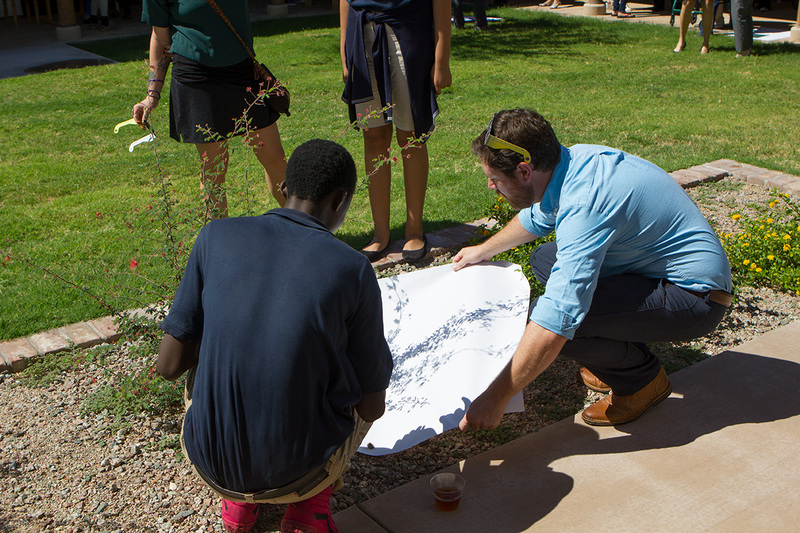 The ID scholars came equipped with many pairs of glasses, various cardboard constructions to see the eclipse reflected in shadow on large sheets of white paper – and great enthusiasm. 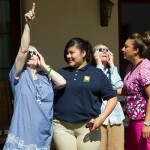 There was much eclipse talk, many experiments and lots of fun. 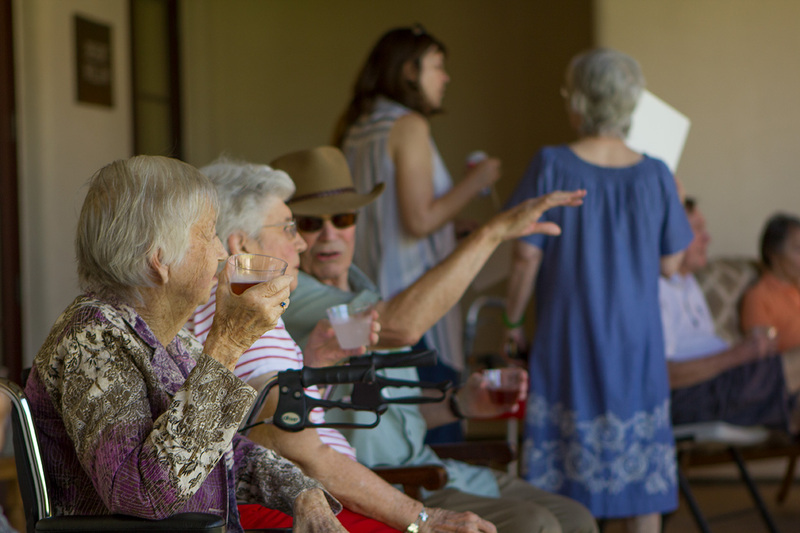 With a sun-themed soundtrack blasting over a portable PA system as specially-created black and white cookies were served, there was some dancing as well – thank you Michelle! 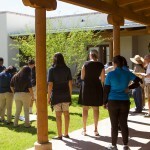 We had a great time and thank Imago Dei Middle School for joining us.